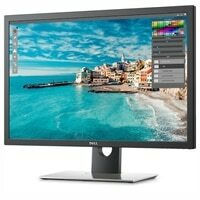 30" monitor with PremierColor that delivers every creative professional their ideal color space. Uncompromised performance: You’ll have precise, professional color right out of the box with flexibility to adjust it to your preferences with PremierColor. Unparalleled usability: View and manage applications between two PCs simultaneously with KVM, PBP and PIP features. Or extend to a secondary monitor with a daisy chain for maximum multitasking. Unbelievable reliability: Premium Panel Guarantee and Advanced Exchange Service mean you’re always covered. And because we’re the #1 monitor brand, you can trust that your display will always deliver.